Now that the New Year has arrived E Cigarette Empire wants to publish a blog that will feature and publicize all of the best vape deals going into 2018! Everyone likes to save money on vape hardware, and vape juice right? We have decided to compile a list that is based on multiple factors to provide our customers with the best bang for their buck when it comes to the vaping market. Save money and get more e juice, coils, and hardware? Why not? All of the special deals that you see here on this blog list are here at E Cigarette Empire only and will be always be available so make sure that you take advantage of these awesome vape bargains! The Best Vape Deals 2018 blog list will be updated on a monthly basis considering that E Cigarette Empire is always featuring new deals and getting in new premium vape juices, box mods, and stylish vape tanks! Remember those horrible days of spending way to much money on just a 100ML bottle of e juice just to run dry in about a couple days? Actually thinking to yourself that smoking nasty cigarettes are cheaper than vaping? (SIKE) Those days are over my friend! E Cigarette Empire has the lowest prices, best vape deals, and will always take care of you. We greet you with arms wide open to the Best Vape Deals 2018 E Cigarette Empire blog list! One of the best promotions and vape deals that E Cigarette Empire has to offer is one of our extremely new ones. FREE 50ML Candy King Sampler Pack with the purchase of ANY Loaded E-Liquid or Candy King product! That means whenever you purchase a premium vape juice flavor from either of these reputable companies you are receiving another free 50ML of e liquid for no extra charge. Also keep in mind that these bottles are either 100ML or 120ML so that means you are receiving at least 150MLs or 170MLs of delicious vape juice for the original product price! The 50ML Candy King Sampler Pack is has five 10ML bottles in the box. Each bottle is one of the original flavors from Candy King such as Batch, Belts, Sour Worms, Swedish, and Strawberry Watermelon Bubblegum. You get every single of these flavors on top of the original product you purchased.. FOR FREE! Now if that isn’t one of the best vape deals of 2018 then I must be going crazy. Take advantage of this bargain because it is a limited time offer but no worries.. When it disappears there will be something right there to take its place! Another vape deal to look out for in 2018 is the Naked 100 E Juice Bundles that we offer here at E Cigarette Empire and the great news is that these bargains will always be around meaning that we are never getting rid of the Naked 100 Bundle Deals! The original fruit line is bundled into one package which consist of all of the original fruit flavors even including Maui Sun. By purchasing this bundle you are getting one of each bottle and each bottle equals out to about a 5 dollar discount! We offer the same deals with the other flavors lines as well such as menthol, candy, cream, and tobacco. All of these bundles equal out to about 5 dollars off per bottle so this is something to really take advantage of. If you are a vaper that likes the discover new flavors that your taste palate has not yet experienced then this is a great way to achieve that while saving as much money as possible! One of the best things about this bundle deal is that when we offer holiday sales, which we do for basically every holiday, they apply to the Naked 100 Bundle Deals so you getting a ton of premium vape juice for close to nothing! Another Vape Deal of 2018 that deserves some recognition is Vapetasia products here at E Cigarette Empire. Vapetasia is one of those awesome e juice brands that have killed 2017. From the start of the year they have done nothing but release premium vape juice flavors that the community falls in love with. All of the e juices by Vapetasia here at the Empire are extremely popular and fan favorites! We can only imagine what the New Year has in store for us considering their track record from 2017. Right now E Cigarette Empire sells Vapetasia 100ML vape juice flavors for $14.95 which is a very inexpensive price for such a premium flavor. All of their e liquids are made with the highest quality ingredients which allows the coils and cottons to last twice as long. Make sure you take a look at their e juice brands page to see all of the scrumptious flavors that Vapetasia has to offer. Their two newest flavors are Milk of the Poppy and Rainbow Road; both of them are very tasty and favorites here at the E Cigarette Empire warehouse! Marina Vape is one of the OG’s of the vape juice game and they yell out Best Vape Deals 2018 here at the Empire. 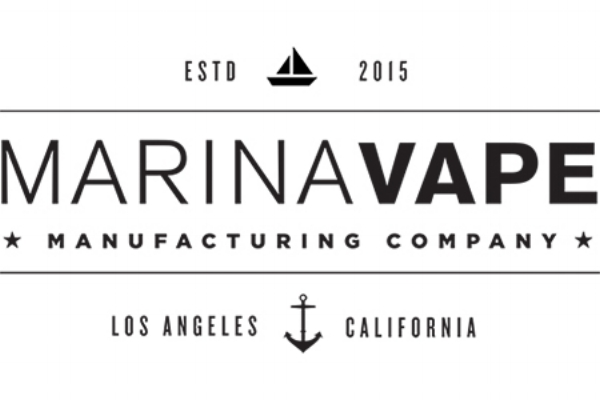 Marina Vape has been around since vaping really took off and they have done nothing but constantly release new delicious flavors that the community loves. Every single one of their flavors here at E Cigarette Empire are best sellers and we carry them in multiple bottle sizes. One of their most famous flavors is Pebbles Donut. It has the flavor profile of a delicious fresh baked donut that has been covered in fruity cereal which provides a strong burst of satisfying dessert and breakfast flavor! The vape deal that we want to feature is ALL of Marina Vape 60ML’s. Just for a measly $12 bucks you can get your hands on any Marina Vape 60ML premium vape juice flavor. This is an amazing and unheard of price considering how high grade these e liquids are! You can find all of the delectable Marina Vape e juice flavors on their e juice brands page on our website. Stop by and take a look because I can guarantee you will find a couple new all day vapes from them!